Redrock Global » Blog Archive » 100 Black Men of Atlanta, Inc.
100 Black Men of Atlanta, Inc. is a coalition of some of Atlanta’s most influential men organized to promote education with some of Atlanta’s most under-supported children. Together they channel educational and economic resources toward these communities’ students and future leaders. Red Rock Global served as the 100’s real estate advisors through all phases of their headquarters expansion. With 243 members, 15 employees and over 1,100 monthly visitors, the headquarters of the 100 Black Men needed to balance an impression of professionalism and success with functional affordability. 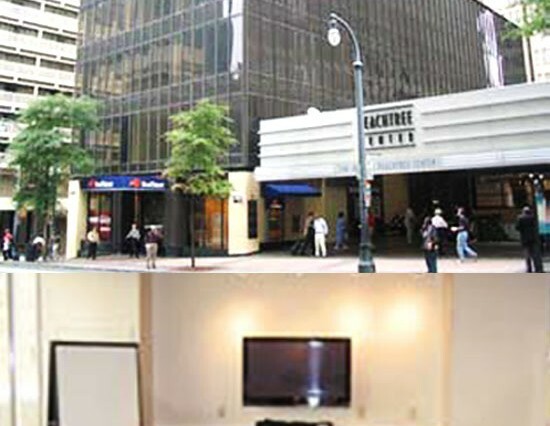 Red Rock Global secured the last freestanding midrise office building on Downtown Atlanta’s renowned Peachtree Street. This location is connected to the Peachtree MARTA Station and is in walking distance of all of the Downtown CBD’s hotels and office buildings. The acquisition was made 10% below asking price and the buildout was completed on time and within budget at a final price that was almost 20% below initial projections.